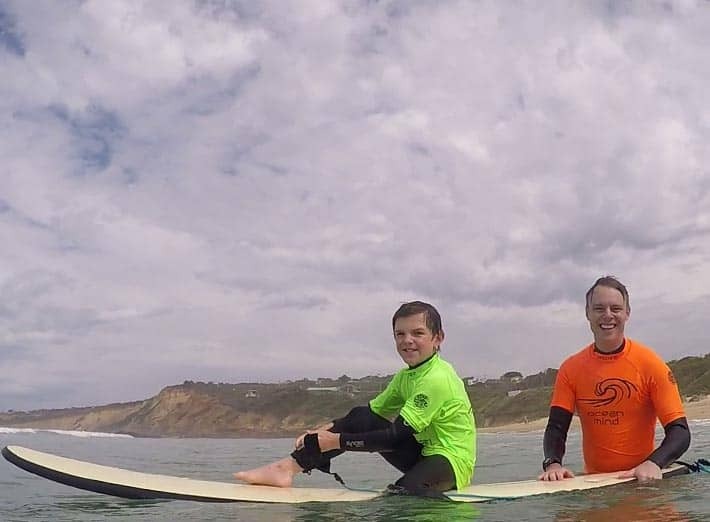 Ocean Mind is a not for profit charity that provides therapeutic surf programs for young people who are experiencing mental health issues, social isolation and disabilities in their lives. We use a mix of surfing activities and mentoring to create a therapeutic environment for young people to challenge themselves, learn new skills and develop and strengthen relationships with family, friends and the broader community. We are calm, caring and mindful. We believe in simple solutions. We love and enjoy what we do. Ocean Mind acknowledges the Wadawurrung people of the Kulin Nation as the Traditional Custodians of the land and water on which we work, surf and play. We pay our respects to their Elders past and present and acknowledge their deep ongoing connection to and care for Wadawurrung Country.